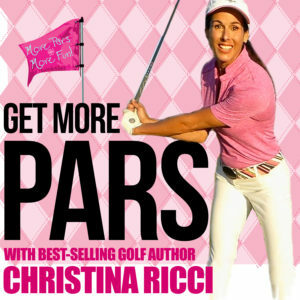 Tip of the Week 29 » Ditch the Flick Around the Green – CHRISTINA RICCI MORE PARS! Do you struggle with shots around the green? Contact or distance control is all over the place, where some chips you’ll skull or others come up woefully short? Let’s make sure that you are not inflicted with the flick! In this Tip of the Week, we define the flick, so we can ditch it with a couple great drills and chipping key points.